Ordering Seeds in these changing times. This post is tailored more towards those that have land, bigger gardens and for homesteaders that are growing to fill their jars, cellars, pantry’s and keep their families bellies full for up to a year or two. Its not going to be quite as applicable to smaller scale gardens that can be covered more easily, still have drip lines or are watered well as a square foot garden would be. With the rising costs of fruit/veggies in the store and the increase in recalls, you might also find that extra veggies produced will have very good re-sale or barter value in the coming years! As will proven quality saved seed! Want to know what I will be spending more money on this year.. Seeds, so many more seeds. I am going crazy on the seeds, I know it, hubby just blinks hard at me, catalog come in, friends connect and community seed savers and I are chatting. I am ordering in short season seeds and I hope they are going to help me get two season’s in the gardens. I used to plan for a three season garden, but I am officially saying NOPE.. in the past five years, I have not gotten a single three season garden and with the coming flip of the el Nino, there is no end in sight. I say two season now because either the first season starts so soon in the spring that come regular garden season, its high drought or it’s flipped and is a flood spring and the back-end is changing as well.. we have more fall rains making it harder to save seed, harder get harvests done and then throw in early hard frosts. Sorry folks, other than in greenhouse or double hoop house growing.. I am calling it.. my farms ability in the first ten years we were here to grow three season cropping is DONE.. so be it.. two season it is.. Adapt people.. It’s the name of the game! See where I am going with this? If you are garden already you know why that list but for those new at gardening.. lets break that list down a bit of you. Starting in cold wet soil.. welcome to spring floods or the cold spring evening temps.. both of them can be worked on with seeds that can still be gotten in cold damp soil. both of which are hard as heck on new little seedlings.. they tend to get cranky about both of these! Seeds that start well in pots (look to the plants that are being set up as “container gardening” It may seem silly if you are planting out half an acre or a full acre in garden to want to have certain plants that grow well in containers.. I am after them two-fold.. One because if they are in pots out in the garden area, they can be pulled if needed into shelter for seed saving even if the rest of the crop fails and second if they are meant to be started in pots, then they will be good to start in the greenhouse in pots and transfer out if required. A lot of the plants I have grown for many years do good in a normal summer but are struggling hard in these hot summers.. I have had crops that are normally heavy producers just sit there in holding waiting for the cooler fall temps and rains to come and then they explode and for a few years, it worked, the falls were long enough that I was still getting crops in.. but then in the past two years.. hard short sharp frosts with early winters have really messed with that! So in keeping with that, seed saving times are getting much more tight and I am hunting down types that will set in cool temps and types that will set in high/dry temps. Yes I know that the dry/high will have a lot less yield but that’s fine..
Its happening more and more often that we get lighter frosts earlier in the season, I had friends that took frosts in aug, our normal frost dates are in oct.. so its important to make sure a lot of our heavier calorie crops can take some light frosts without falling over like a wilted lady who needs smelling salts! Shorter Crops Heights. I am sure you all know that I am going to say wind, o those crazy high winds and working with swells and planting in created micro climates. Can’t get certain crops to produce in a standard garden. Look to your food forest and get those annuals intermixed, get some wind protection, while still getting edge sun on them. Crops that will grow tall, have dense cover.. What can I say, no point in just slapping shade over your greens or others that need less sun, does a shade cover produce food or medical use.. nope.. but if you do your research, you have plants that can grow to give you wind cover, shade cover and if luck is good.. they will produce food for you.. if no luck and they get beat up, if they do their job, your calorie dense root veggies that needed some help from the high heat will grow well and be worth the extra work. 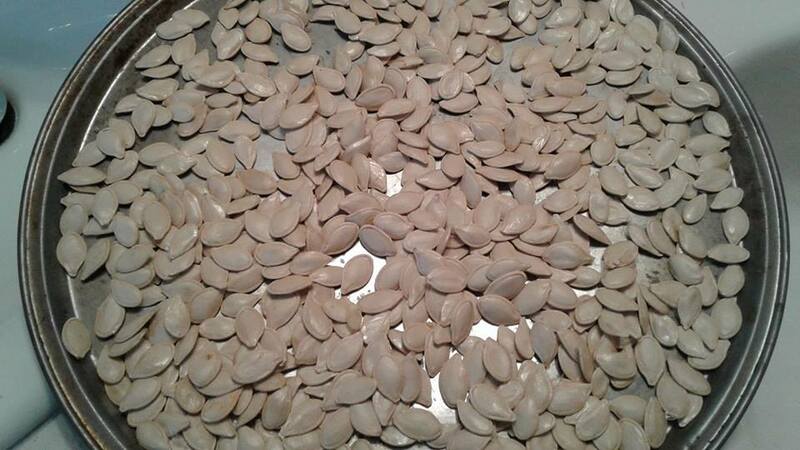 I am not bringing in a years worth of these seeds either, I am buying at least three seasons worth at a time, I will give each plant I pick a true test, If they do well, great I will intermix the seeds and plant again, if they do poor, I can start with the pure new seed for another two years. Learning your garden plants is a dance and it takes longer then one year to know if they are a go. These guys will get 3 years to prove their worth or they will be removed. I have types and seeds from what I have been growing that are NOT making the grade! If you have limited space or limited time or limited water and lists go on.. consider forage for your greens needs, consider your area for forage for your wild fruit harvest and focus on calorie dense crops in your garden space combined with your favorite herbs in pots and make sure your “flowers” are medical/pollination plants that will keep and grow your native bee populations. While its still worth it to have some “hard stone” fruit trees, give more space to your canes and to rhubarb.. they are going to be your work horses on bad years.. they are as tough as they come..
Best of luck on your own seed hunting.. be brave.. step outside your comfort zone, step outside your local feed store or home hardware center that sells the same 50 types of seeds across the whole country..
Get Small Farm Canada’s Seed Guide to all the seed houses across Canada and happy reading! 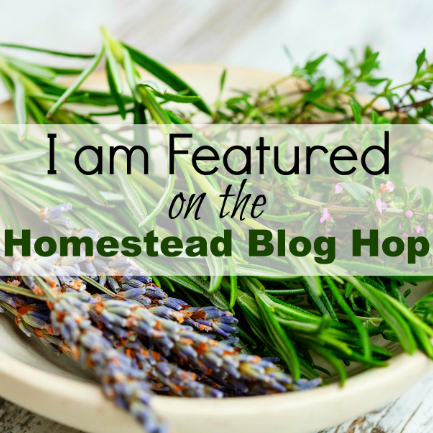 This post was selected as a featured post on homestead blog hop! Thanks Ladies! This entry was posted in 31 Day Self Reliance Challange, farm, food and tagged 31 Day Self Reliance Challange, Changing your seed buying habits due to clamate change. Bookmark the permalink. 34 Responses to Ordering Seeds in these changing times. canes and rhubarb – check! Hoop house. Soooo tempted. Then I remember there are only two of us….and really, how much can we eat? Still – I consider it every year. I am building a new lean too green house but yes, if I thought that a hoop house could hold up to our winds and or our winter load, I would so be there.. but I have watched them be ripped up and go down under the winter snow/ice storm loads. Once you get them big enough to hold, the money is crazy.. I have a crazy idea though, that I might get to.. we will see.. if I do it, I will share on the blog. You cheeky monkey. When were you going to tell me. or…… for us scattered types…. Who me?? I am not copying.. MUCH! Lol maybe some..
Ok, I will put together a list of seed houses and recommended kinds but you are still going to need to do some work, because I do not know your zone, I don’t know if you micro climates, or your garden set up, so only you and Mrs will know for sure if they work for you guys.. but I can give list of where I am buying, what to look for and color recommendations that apply for you and I. Thanks, I liked yours too..
Ps.. Four more.. o ya! Great ideas and good planning, Farm Gal! 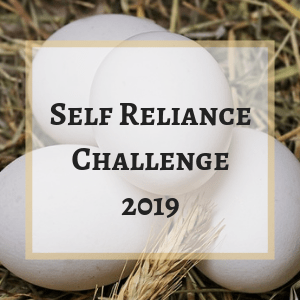 Looking forward to seeing what you share for the Self Reliance Challenge! Some really good advice there! I like the idea of mixing saved seeds from successful plants with commercial seed. This year I will be focusing on perennials such as berries and naturalized native plants that I can eat. I need things that will survive a surprise frost (one on June 10 this year here in the Banana belt) drought and hot, hot summer temperatures. It would also be nice if the deer don’t like it. We are zone 6a. What zone are you Farm Gal? 4b is my official zone listing. I hear you on the surprise frost..
We try something new and different every year. So many seeds to plant and watch grow. So much food to be stored. Thanks Candy, I think its always good to try new for sure. You sure do have everything planned out well and are prepared ahead. Thumbs up to you Valeria for being so self reliant and prepared. Wow, you’ve really broken down your climate and it’s growing needs. I have to do the same, and while we are in a much drier climate than yours, we get much hotter here, so I have to choose seeds that do well in high heat. Great ideas here for what to consider when buying seed! Hi, where do you live that you get even hotter, our summers get very hot and humid not dry I wish we did not get so hot but its the case. its a very good idea to break it down, we do get extremes on both ends for sure. I live in the inland empire in Southern California. We get temps up to 110 sometimes, and for most of the summer we are above 100 which means that many plants won’t set fruit. I’m looking for varieties that do well in dry heat. We do get some humidity, but not a lot. Otherwise, we are pretty temperate. During the winter, though, I’d like to find varieties if plants that will do well between temps around 30-70 degrees. Ah, thank you.. We get in the 90’s and push up and over into the 100 plus with the humidex included, of course we also get down to -40 at times in the winter.. like I said, extremes on both ends, I have lived in other parts of Canada that were more steady and I have lived in other parts that were even more extreme. I lived in the artic for a number of years, 24 hours of sunlight is awesome for growing, the fact that your highest temp is plus 12 not so much.. lol for my earliest spring planting area, its a raised spot in full sun, and I shovel the snow off it to help it get started and then use a hoop house over it lol It will be interesting to read and learn from other’s that are working in such difference conditions. I live in Indiana so I hear you on the cold, wet soil! I save most of my own seeds, use cold frames and well amended soil to help avoid all of these issues. Even then, things happen! Some years the garden is good and some years it’s a real mess! Hi Sheri, I save a good amount of seed as well, but my tried and true are struggling with the “new extreme weather” time to make room for trying lots of new kinds to hedge my bets. Thank you for sharing your criteria for choosing seeds. So far I’ve been looking and trying veggies that do well in hot summers and drought conditions; I need to get more specific for spring planting and so on like you have done. With the weather patterns changing, I am needing to stay flexable and be willing to hunt down seeds from other climates and bring in new strains of plants to fill our table and our pantry. I think being willing to adapt and change will be very important in the coming years. Look forward to hearing how it goes for you.. This was so informative. We just moved, and this article is going to be very helpful as I choose seeds for the upcoming seasons. We, too, have cold, wet springs here where we just moved. Hi Heidi, Glad you enjoyed the post and hope it does help a bit.. May I asked where you moved to and what garden zone? The weather is definitely changing, and for anyone wanting to be self-reliant, understanding your weather and the best kinds of seeds to use is key! Great article! Thanks Harrow, Its very true and I am going to sound like a broken record in some ways this year as I try and share a many things that we are doing on the farm to help in this regards. Such good advice! Thinking about your climate is a huge part of successful gardening especially if we’re thinking about being self-reliant. Hi Bethany, Glad you enjoyed reading it and its going to be very interesting to see how we will need to adapt in the coming years. I only have a small garden, but I can see applying a lot of this to our seed purchases as well. For those of us with smaller plots, buddy up with a neighbor or only order a single packet of seed and it will still last you a few years. Great tips!